A harrowing, edge-of-your-seat narrative of murder and secrets, revenge and heroism in the City of Angels-the real events behind the blockbuster Warner Brothers film starring Sean Penn, Josh Brolin, Ryan Gosling and Emma Stone. GANGSTER SQUAD chronicles the true story of the secretive police unit that waged an anything-goes war to drive Mickey Cohen and other hoodlums from Los Angeles after WWII. In 1946, the LAPD launched the Gangster Squad with eight men who met covertly on street corners and slept with Tommy guns under their beds. But for two cops, all that mattered was nailing the strutting gangster Mickey Cohen. Sgt. Jack O'Mara was a square-jawed church usher, Sgt. Jerry Wooters a cynical maverick. About all they had in common was their obsession. So O'Mara set a trap to prove Mickey was a killer. And Wooters formed an alliance with Mickey's budding rival, Jack 'The Enforcer' Whalen. Two cops -- two hoodlums. Their fates collided in the closing days of the 1950s, when late one night 'The Enforcer' confronted Mickey and his crew. The aftermath would shake both LA's mob and police department, and signal the end of a defining era in the city's history. 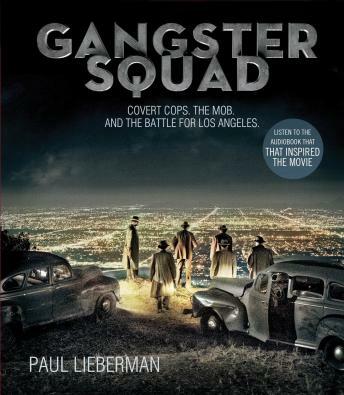 In 2008, award-winning journalist Paul Lieberman's seven-part Los Angeles Times series 'Tales from the Gangster Squad' was optioned by Warner Bros. He spent over a decade tracking down surviving members of the real police unit as well as families and associates of the mobsters they pursued. GANGSTER SQUAD is a tour-de-force narrative reminiscient of LA Confidential.